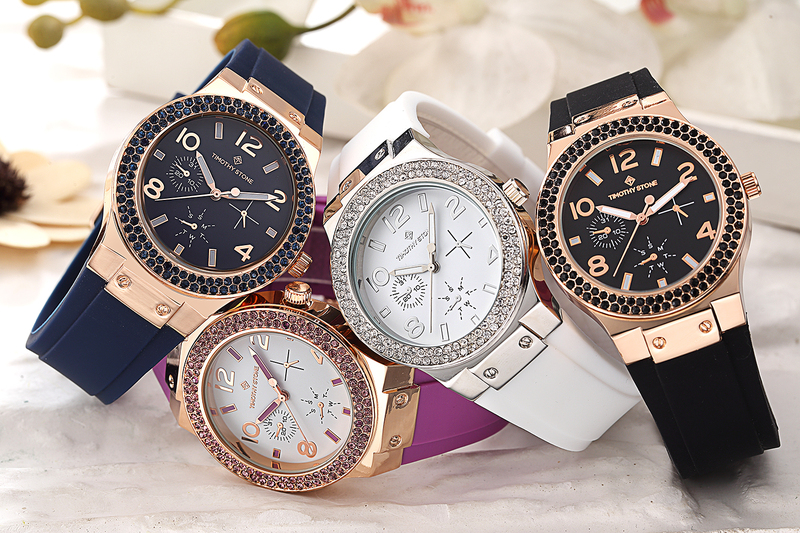 Characterize your wrist with contemporary allure in these watches that boast a supple silicon band. The bezels boast concentric rings of shimmering crystal. 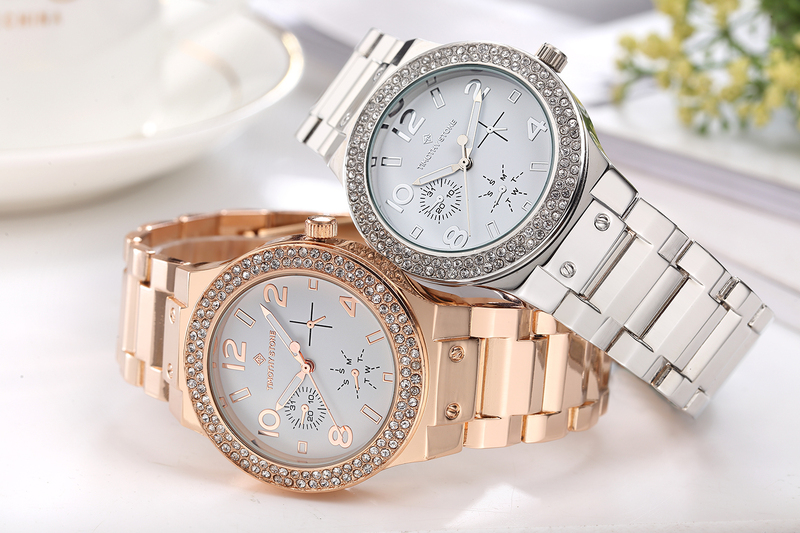 A classic design and gleaming hardware make for sophisticated timepieces that combine function and fashion. 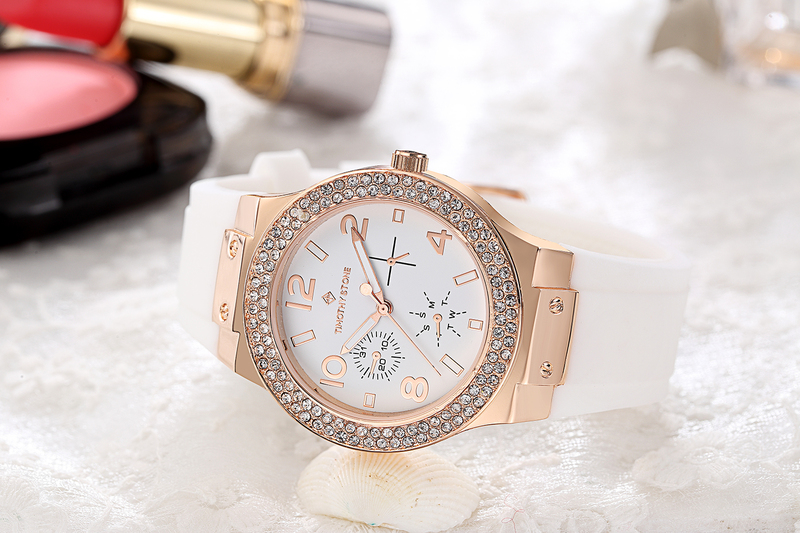 The faux chronograph detailing exude sharp style. At once both elegant and sporty, the FAÇON collection (pronounced “fa–sawn“) boasts an elegant blend of timeless style and modern functionality.